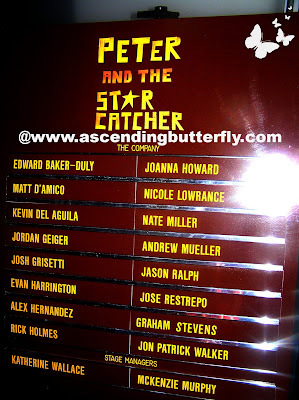 Ascending Butterfly: Set Your Inner Child Free with Peter and the Starcatcher at the New World Stages Theater! Set Your Inner Child Free with Peter and the Starcatcher at the New World Stages Theater! Can you still tap into your inner child? If you need a little help with that then you might want to check out Peter and the Starcatcher (A Grown Up's Prequel to Peter Pan!) now playing at the New World Stages Theater in New York City! 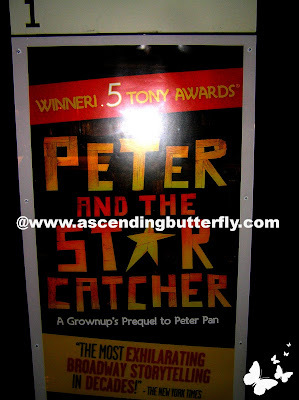 Peter and the Starcatcher won five Tony Awards and was named one of New York Times, New York Magazine and New Yorker's Top 10 Shows of the Year! It recently moved to the New World Stages Theater at 240 West 50th Street. This imaginative prequel to the story of PeterPan, (based on the best-selling Disney-Hyperion novel by Dave Barry and Ridley Pearson), tells the story of an Orphan who heads to a faraway land, where he finds love, friendship, and ultimately, himself. The show is comprised of twelve actors playing more than a hundred unforgettable characters, all on a journey to answer the century-old question: How did Peter Pan become the boy who never grew up? The epic story of one of popular culture's most enduring and beloved characters proves that an audience's imagination can be the most captivating place in the world. What I love about anything that is even remotely Disney related is that somehow, somewhere in the show there will be something with wings, Peter Pan of course has Tinkerbell (or in this version we learn how Tinkerbell comes to be), but my favorite quote from the play was: 'To Have Faith, is To Have Wings'. 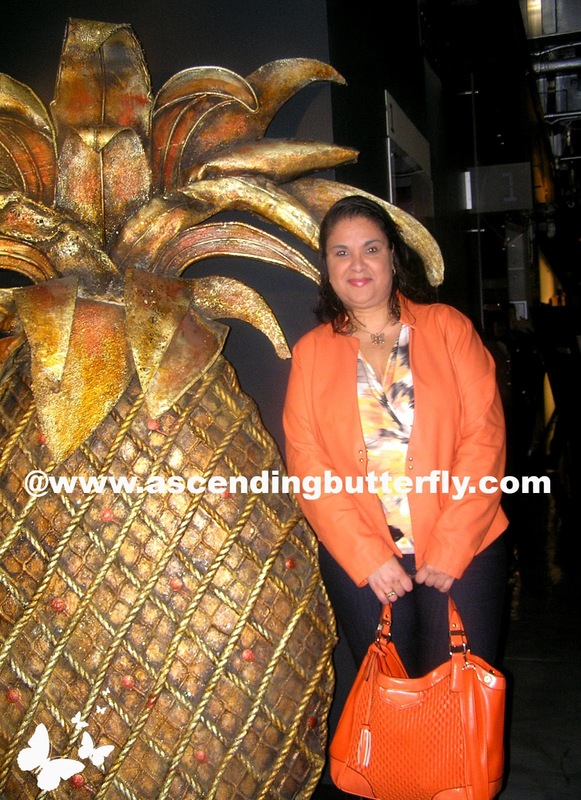 Isn't that a perfect Ascending Butterfly quote? Faith really is the wings that allow us to soar in life, to take chances, to follow our dreams and to become the person we are meant to be! But the best life lesson that comes from Peter and the Star Catcher, is that Peter keeps reminding the adults around him, that 'he just wants to be a boy' for awhile. Sometimes we cram so much into a child's schedule that they don't get time to just 'be', to just 'breathe' and enjoy what is supposed to be a care free time in their lives. The performance is recommended for children ages 10 and up, and that sounds about right to me, there are some double entendres and an appearance of men dressed as mermaids, so I'll let you decide how young you feel comfortable in going. This is a definite 'Ticket', and for my fellow cocktail lovers, I tried a cocktail called 'The Bad Idea' which was fantastic! (It's a bit like a Long Island) And they will bring it to at your seat if you don't feel like getting back up to hit the bar! 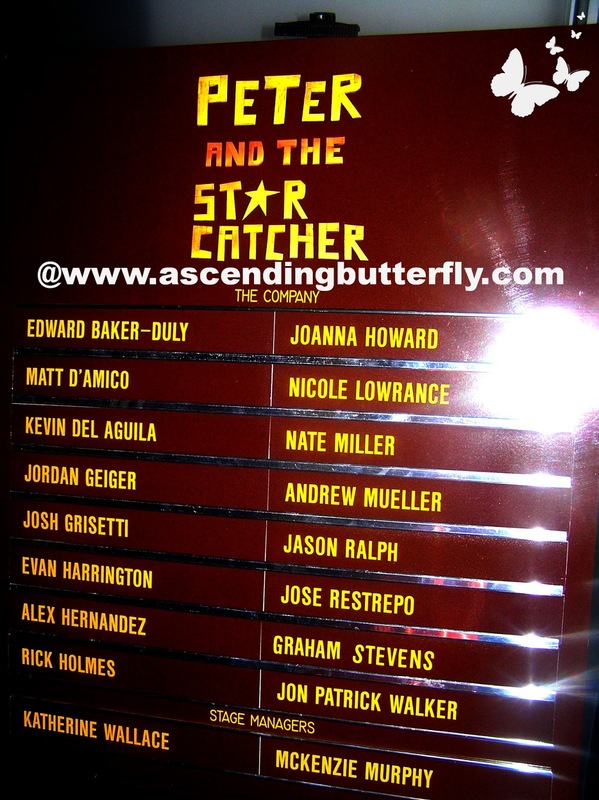 I greatly enjoyed Peter and The Star Catcher! Trust me, your inner child will thank you! If you've seen it, or plan to see it, let us know! FTC Disclosure: This is NOT a sponsored post, no monetary compensation has been received by Ascending Butterfly, we were provided only with our seats for editorial consideration. All Opinions are always 100% my own. Special thanks to Culture Mom Media!